Barbara A. (Clemmey) Ward, 90, of Fall River, wife of the late William Ward, passed away Wednesday, January 23, 2019. Born in Fall River, she was the daughter of the late Richard and Sarah (Parkinson) Clemmey. A graduate of BMC Durfee High School class of 1946, she was an office assistant at Charlton Memorial Hospital and prior to that she worked at Metropolitan Life Insurance and United Wholesale. She was a parishoner of St. Mary's Cathedral and a former parishoner of St. Louis Parish. 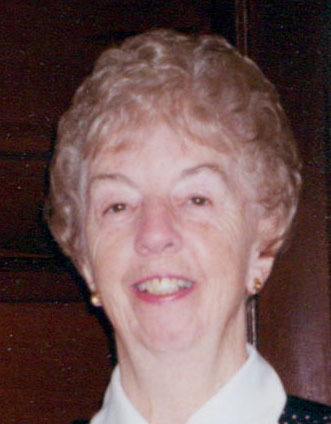 She was a member of the Charlton Memorial Hospital Retirees and the former St. Mary's Cathedral Seniors. She leaves a daughter, Beverly Ward of Fall River; two nieces, Nancy Allen and Linda Hayes; a nephew, James Allen and 2 grandnieces and 1 grandnephew all of FL. She was the sister of the late Isabelle Allen. Her funeral will be held Saturday at 9:00 AM from the Auclair Funeral Home, 690 So. Main St., Fall River with a Funeral Mass at St. Mary's Cathedral at 10:00 AM. Interment, St. Patrick's Cemetery. A visitation will be held Friday from 4:00 PM to 7:00 PM. Flowers welcome or donations may be made to Forever Paws Animal Shelter, 300 Lynnwood Ave, Fall River, MA 02724. Online guest book at AuclairFuneralHome.com.